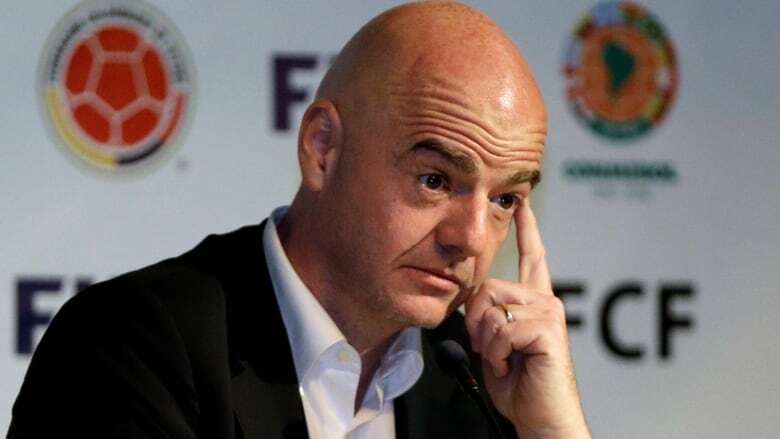 FIFA's ethics committee has cleared president Gianni Infantino of alleged misconduct relating to use of private flights to end weeks of speculation in Swiss and German media that he would become the latest world football leader suspended from office. An internal FIFA memo leaked to media said Infantino took flights from the governments of World Cup hosts Russia and Qatar, along with former employer UEFA. "[The] benefits enjoyed by Mr. Infantino were not considered improper in the light of applicable FIFA rules and regulations," the statement said. The weeks-long investigation also examined Infantino's hiring of senior advisers and refusal to sign his working contract since February. However, these issues were judged to be "internal compliance issues rather than an ethical matter." The case against Infantino built after senior FIFA officials resigned or were fired since May, including audit panel chairman Domenico Scala and longtime FIFA finance director Markus Kattner. "The president would like to thank all those who co-operated with the Ethics Committee to ensure that the facts were heard and the truth prevailed," FIFA said in a statement. Blatter is serving a six-year ban for conflicts of interest over a $2 million US improper payment to Infantino's former boss, UEFA president Michel Platini, who was also banned from soccer. Platini's legal problems cleared the way for Infantino's unexpected candidacy.